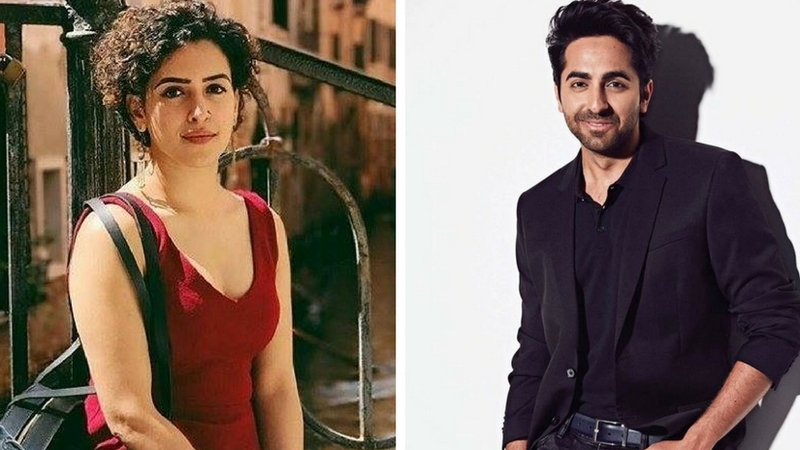 Dangal actress Sanya Malhotra will share screen space with Ayushmann Khurrana in Amit Sharma’s upcoming film Badhaai Ho. As per reports, the film will go on floors in January 2018. “I am excited to start work on Badhaai Ho soon. I remember laughing through the first narration of the script and had instantly decided that I had to be a part of this film. It’s a funny and quirky story in which I play a bubbly girl who is Ayushmann’s colleague,” said Sanya, confirming the news. Junglee Pictures and Chrome Pictures will be producing the film, and it tells the story of a family grappling with some unexpected news. Sanya made her mark in the Hindi film industry with her portrayal of Commonwealth Games gold medalist Babita Kumari Phogat in Aamir Khan’s Dangal. The movie went on to become a blockbuster hit and Sanya received a lot of appreciation for her performance. Fatima Sana Shaikh played Geeta Phogat, Babita’s elder sister in this film. Sanya has also been roped in for a film opposite Nawazuddin Siddiqui. It will be directed by Ritesh Batra.